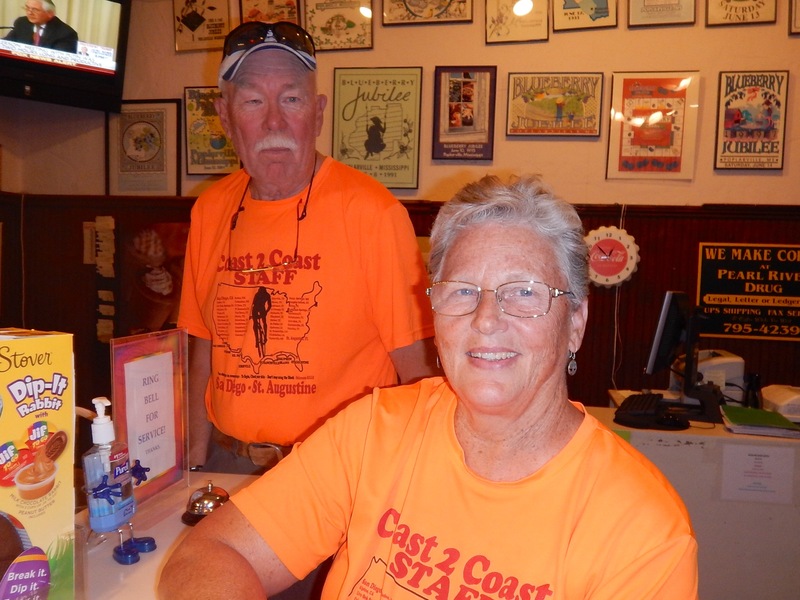 It is the staff (mostly volunteer) that make Bubba’s Coast 2 Coast tour an amazing experience. 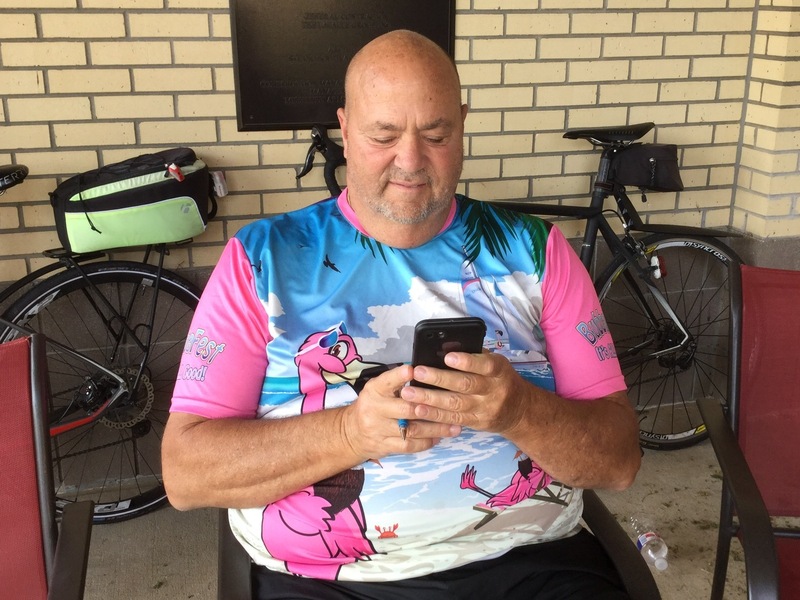 Most of them are couples, and except for the Wolfpack (the muscle), all have ridden their bikes across the country with Bubba – it’s a requirement! For our small (25) group of cyclists for this crossing, there are 13 staff members. We are most definitely pampered, and perhaps a bit spoiled. This staff is versatile and incredibly flexible. 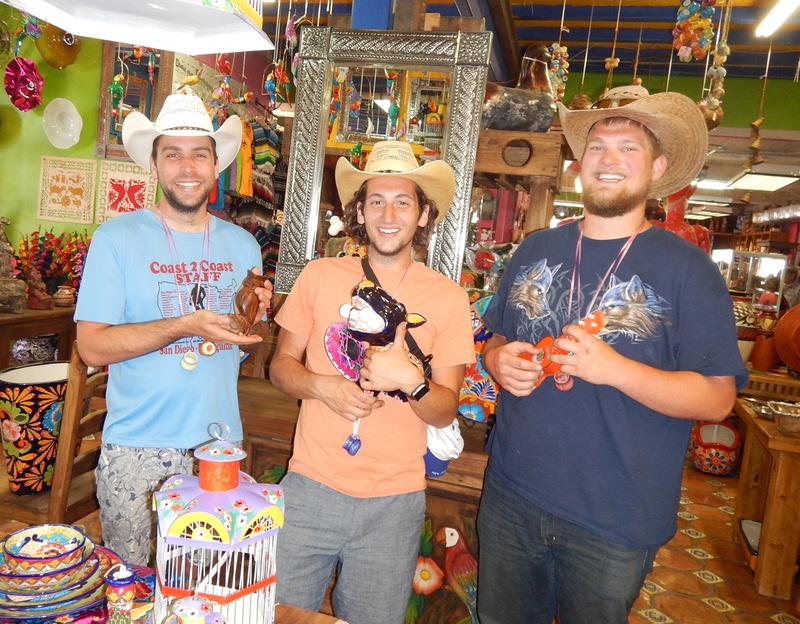 They wear many hats during the trip. 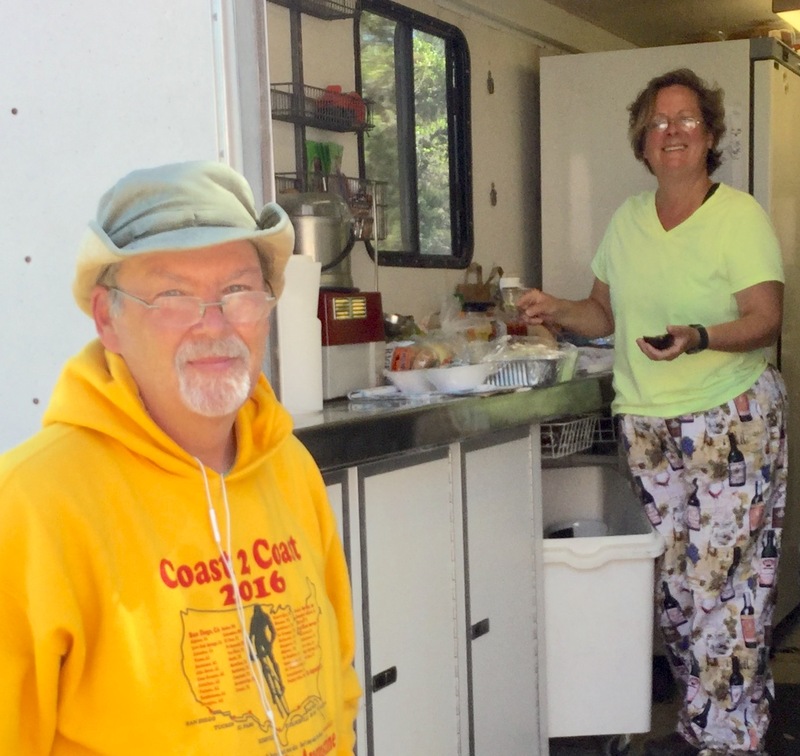 They share their experiences, they encourage us, they drive SAG, they do our laundry…we love them! 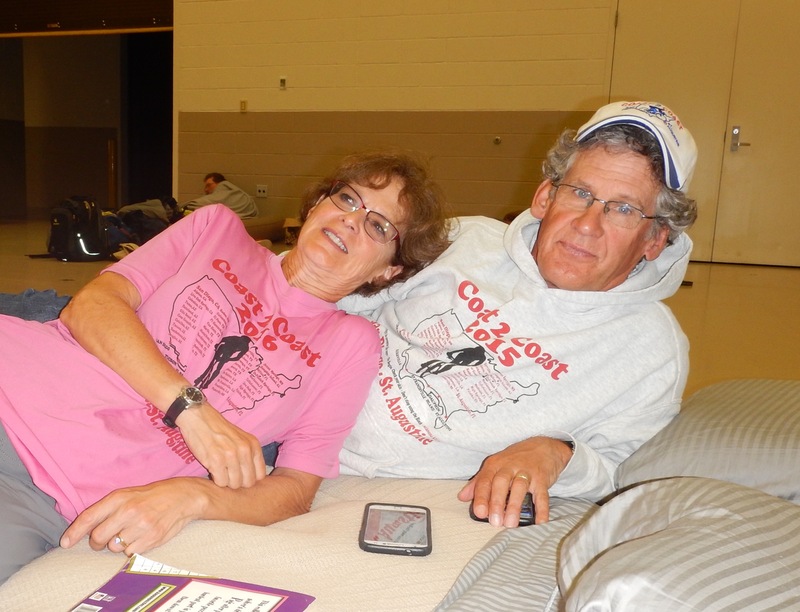 Joyce and Ed Gillette from Ohio. Joyce is the lead SAG logistics person. Rose and John Murphy from Colorado. John is the tour photographer, and Rose has the best calves on the planet. 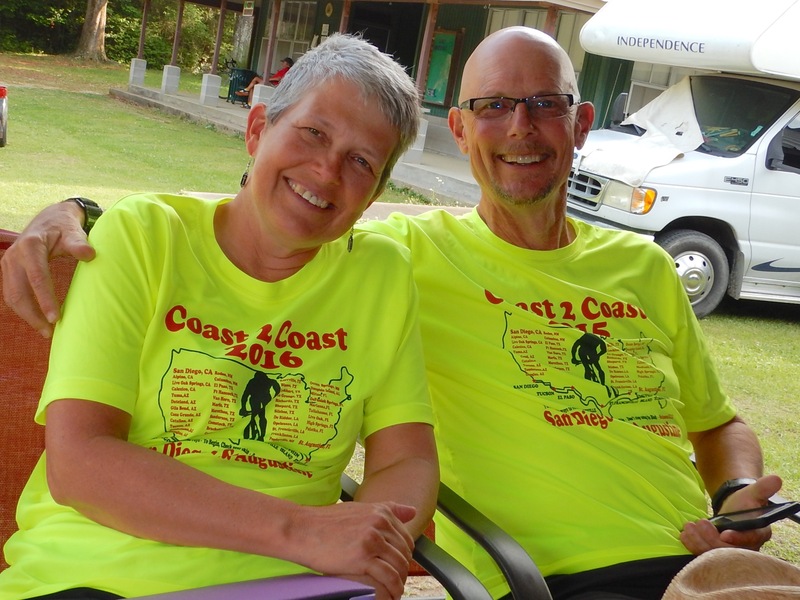 Beth and Coach, a C2C romance from North Carolina & Michigan (and engaged to be married). 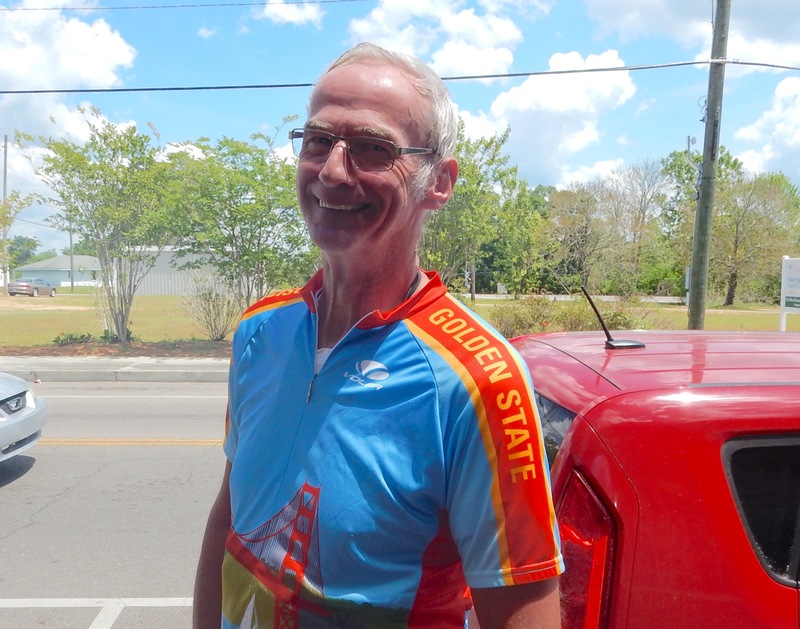 Coach is the busiest man on this ride…our mechanic. “Happy” Hans, who is From The Netherlands, but lives in Berlin. Like most Europeans, Hans speaks a lot of languages. She is the advance person at each overnight location and manages the Wolfpack. 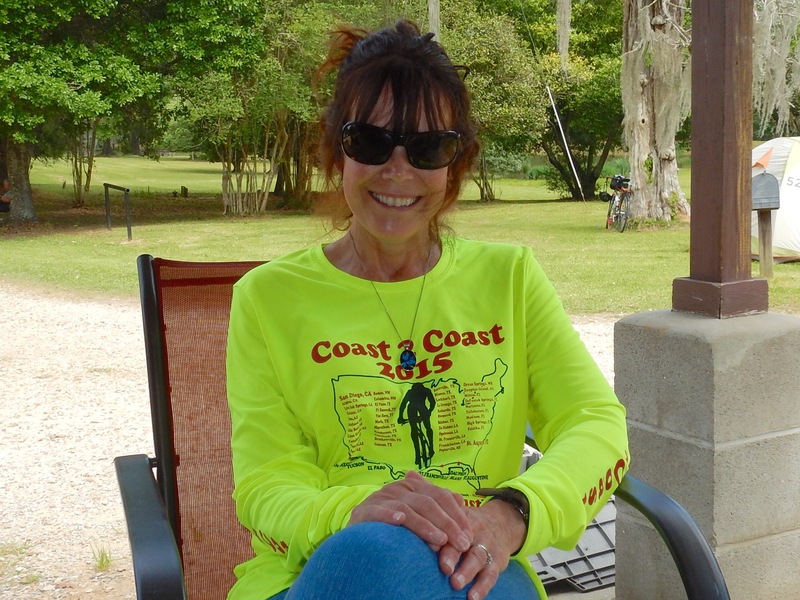 She is the only person (other than Bubba) who has been on every C2C tour, riding in the first one (in 2010), and working every one since then. Anne and Serge, our culinary champions. They keep everyone happy with their incredible food. You can read our ode to them here. The Wolfpack: Alex, Drew, and Tyler. The pack sets up and breaks down each location. They pitch our tents and blow up the air mattresses as well as schlepping our luggage. They make our lives so easy on this trip. AND BUBBA…his role cannot be quantified or underestimated. He is the man who makes everything work. His motto, “reconnect and reconfirm”, which means we see him on the phone all of the time. He is a man who clearly loves what he is doing. Tomorrow: Nine rides left. Our final push to the Atlantic begins with a ferry ride. How many tandem couples are on this ride? You should be in the Sunshine State soon! Just one other tandem on the ride. Friends of ours from 2001. Tell Daddy his son, Geepa, said hi. Super group. Love the smiles all around. Might just be the best C2C staff assembled ever. Great folks, all! Don’t forget to thank Buba for cutting tomorrow’s distance,last year we rode against a strong wind for about 90 miles, sand stinging our legs, on top of a late start because of the ferry ride!